It looked like a crocodile, walked like a crocodile, had jaws like a crocodile, and lived like a crocodile. 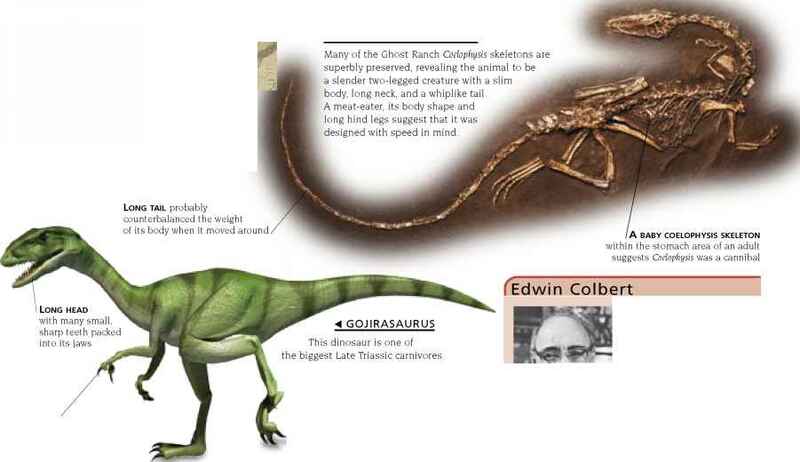 Despite these similarities, Parasuchus was not a crocodile at all. It was a phytosaur—a semiaquatic, meat-eating reptile that thrived in the Triassic, but became extinct at the end of this period. India's Pranhita and Godavari rivers flow south to the Bay of Bengal, following channels through a river basin, which is a depression in the Earth's crust. This is a vast area of low-lying ground, prone to flooding during the monsoon season. 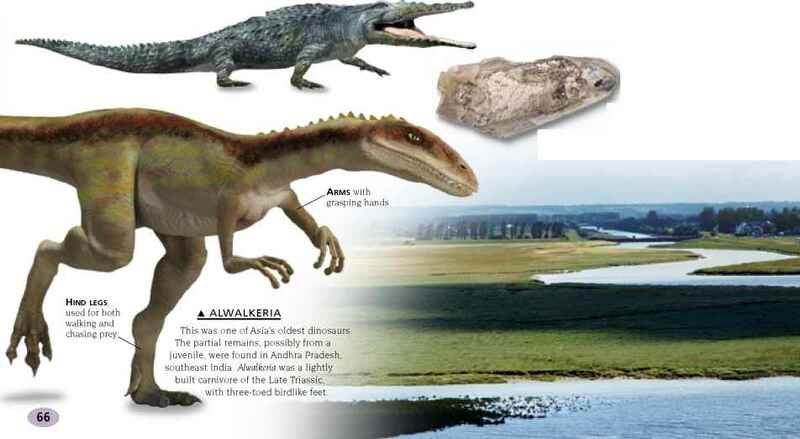 India's dinosaurs date from the Late Triassic to the Late Cretaceous. 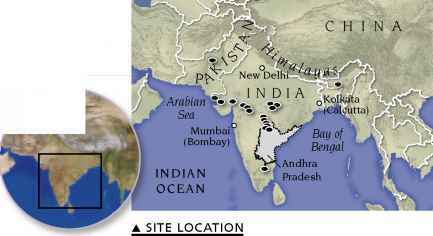 Their bones, trace fossils, and trackways are found in a number of locations throughout the country, as shown above. Ceratodus fossils are found in the area's Late Triassic rocks. As this lungfish lived in rivers and lakes, it provides good evidence for the area's watery environment of 220 million years ago.